Upon graduating Emory university in 1992 I played professionally in Destin, FL as a bassist, guitarist, violinist, and vocalist. 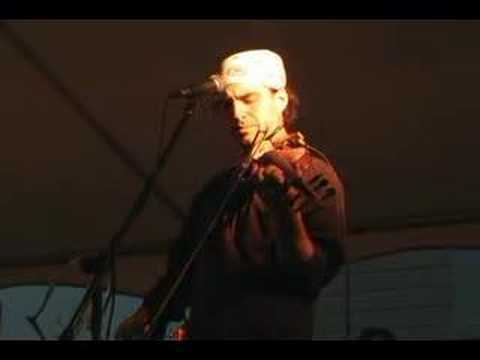 I performed as bassist and backing vocalist with "Salty Dog" for nearly a decade. I am the co-founder of the Destin, FL band "Beach Mice." We perform for several weddings, corporate events, and benefits every year. Beach Mice is also popular on the festival circuit on the Emerald Coast. Violin, guitar, bass, and piano instructor. Taught weekly half-hour lessons at music store. Clients ranged from 5 years old to early 70s. It's a great pleasure to learn from David! David Pretlow can zoom in on increasing technique and write an arrangement of a song you want to play within your playing ability. This is a TEACHER worthy of the name "professor in strings". Lessons are targeting my weaknesses and explanations are helpful. Parking is tough because of construction and lack of free spaces but that is only temporary. David was very clear, and didn't waste any time from the very first lesson. Great teacher, very supportive! Daughter loved her session with him. He is patient, very knowledgeable and gave her a great first experience. She hasn't stopped playing since coming from his lesson. He is a great teacher. Very good with kids! Our son is enjoying his lessons. David did a great job with my 7 year old daughter. He was very patient with her, but also managed to cover a lot of ground in the lesson. Our seven-year-old has loved learning from David. His engagement has been patient and responsive in a way that is encouraging our little guy to grow in his understanding of the violin and music in general. Our kid looks forward to his weekly lessons! David is nice, patient and very good at teaching guitar. Even to me (who is a beginner), it's clear that he understands music and its theory on a deeper level than most. He's been working to develop my basic technical skills (eg scales, chords, etc.) but also to learn songs that I love and listen to everyday. He's patient, friendly, not-rushed and just a generally all-around great teacher and great person. Highly recommend!!! I had a great experience with David. He is really patient while also making you push your own limits. I learned a lot in the first class and I'm hooked. I had a great first lesson... looking forward to many more. Very nice, helpful, and patient!